When exploding health care costs threatened Serigraph’s solvency, CEO John Torinus Jr. searched the country for solutions. Using his findings, Torinus applied innovative, cutting-edge strategies and cut his company’s health care expenses well below the national average while improving his employees’ care. Now, across America, leading companies are following Serigraph’s example. There isa revolution brewing – a revolution that will dramatically lower health care costs nationwide. 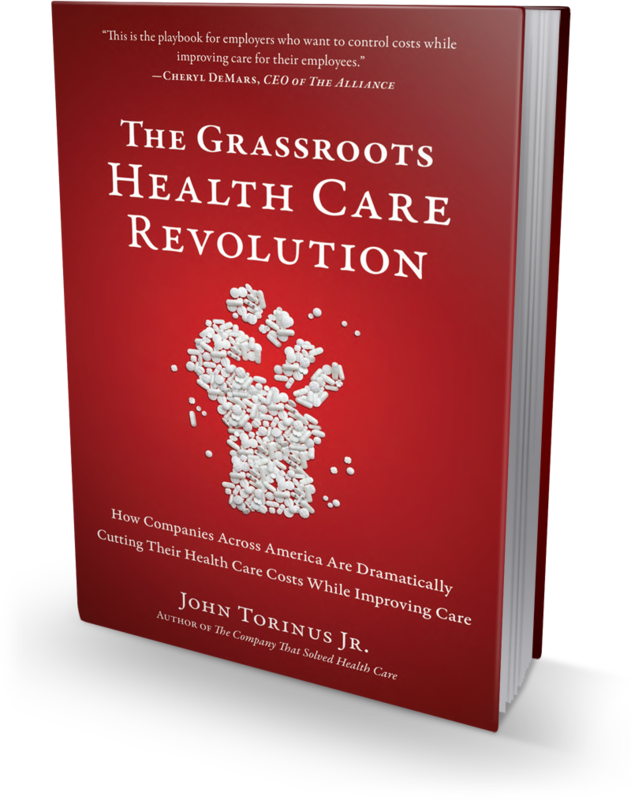 Torinus, author of The Company That Solved Health Care, the eye-opening story of one company’s game-changing health care program, takes a fresh look at the financial side of health care in The Grassroots Health Care Revolution. Featuring examples and interviews with dozens of businesses that ar creating and adopting these innovations – from HP to Walgreens to Safeway – The Grassroots Healthcare Revolution is a game plan for improving workforce health and radically lowering health care costs. Torinus avoids the politics of health care to focus on what businesses can actually control. He shows how pioneering corporations have engaged their employees to tame the hyper-inflation that has plagued the health care industry for decades. Executives at leading companies are deploying management disciplines and marketplace principles to invent a better business model for health care. These companies are bending the curve, growing profits, and improving the health of their employees. Learn how you and your business can join the revolution. This just may be the best chance for Lifestyle Medicine to help transform medical care in the US. Really enjoyed this no-nonsense book outlining a better way forward.